For home, conservatory and plant display. Cast-iron base from a Great Western machine. 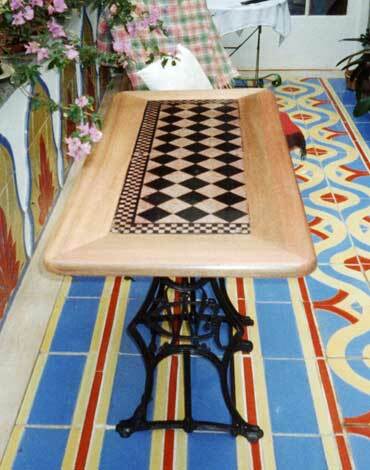 Table Top: black and brown check painted enamel on tin - set in salvaged seasoned mahogany.